Oromia’s Olympic athlete, Feyisa Lilesa, named among the 2016 top 100 global thinkers by the Foreign Policy (FP) magazine. Both the rise of PM Abiy Ahmed and Athlete Feyisa Lilesa’s protest on global stages have been the consequences of #OromoProtests, Qeerroo Revolution. Country’s parliament elects Abiy Ahmed as new leader a week after his nomination as chairman of ruling coalition. Ethiopia’s parliament has elected Abiy Ahmed as the new prime minister, a week after the ruling coalitionnominated him to succeed Hailemariam Desalegn. Abiy was sworn in on Monday shortly after his election to become Africa’s second-most populous country’s 16th prime minister and the first Oromo to hold Ethiopia’s top seat. Hailemariam resigned in February, following months of protests in the Oromia and Amhara region that led to the deaths of hundreds of people. The protests, which initially began over land rights, but later broadened to include calls for greater political representation at the national level, met a harsh government response. Abiy, 41, a former lieutenant-colonel in the army and head of Ethiopia‘s science and technology ministry, has a reputation as an effective orator and reformer. Ahmed Adam, a research associate at University of London’s School of Oriental and African Studies (SOAS), told Al Jazeera on Monday that he believed things would change under Abiy. “This is a very historic moment for Ethiopia and for the ruling coalition in the country. He is the first Oromo PM. This will pave the way for the stability and unity of the country,” he said. Merara Gudina, a prominent opposition leader, expressed cautious optimism over Abiy’s election. 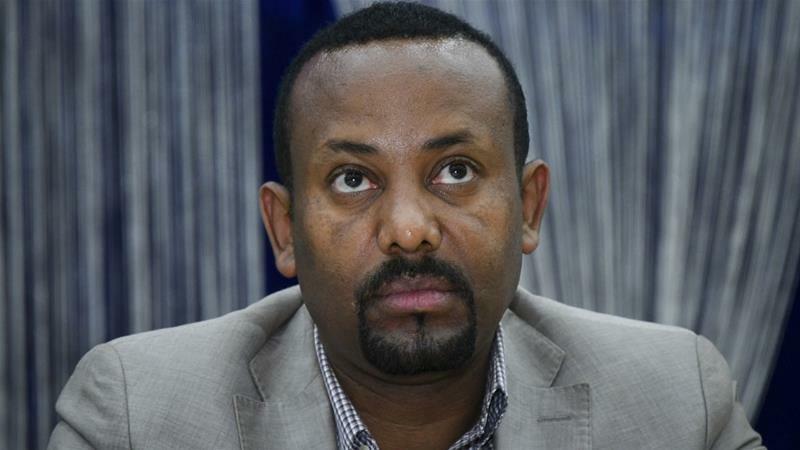 “What he aims to achieve depends on what his party allows him to do,” Merara said, adding that Abiy was elected by Ethiopia’s ruling party and not directly by the population through a general election. On Saturday, Ethiopian officials said that more than 1,000 people have been detainedsince the latest emergency rule was put in place. Can Ethiopia’s new leader bridge ethnic divides? If I am to remember today for what it is, it won't be for the changes in which this developmental state functions, but for the 'feel good speech' & the fact that it can be possible for incoming first families not to be preceded by caskets or runaways. And this 👇😍. 1/2 The security sector in #Ethiopia is political, and is a major party in the politics of economic decsion making. Any attempt to liberalise the politics & reform the economy won't succeed without reforming the culture & composition of the military & the intelligence.